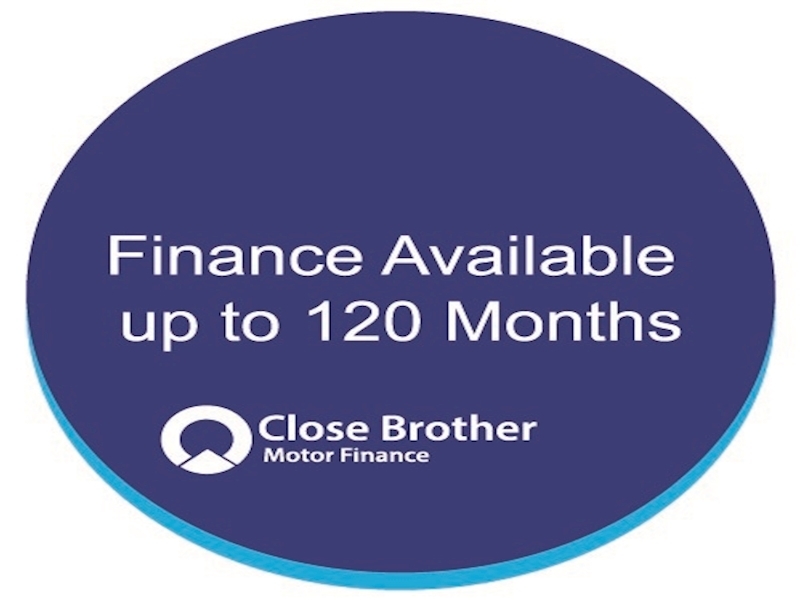 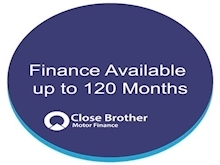 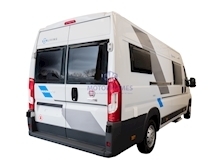 Sat Nav with Reverse Camera,Park Sensors,Leisure Battery,Bike Rack,Digital Aerial & TV Bracket.. 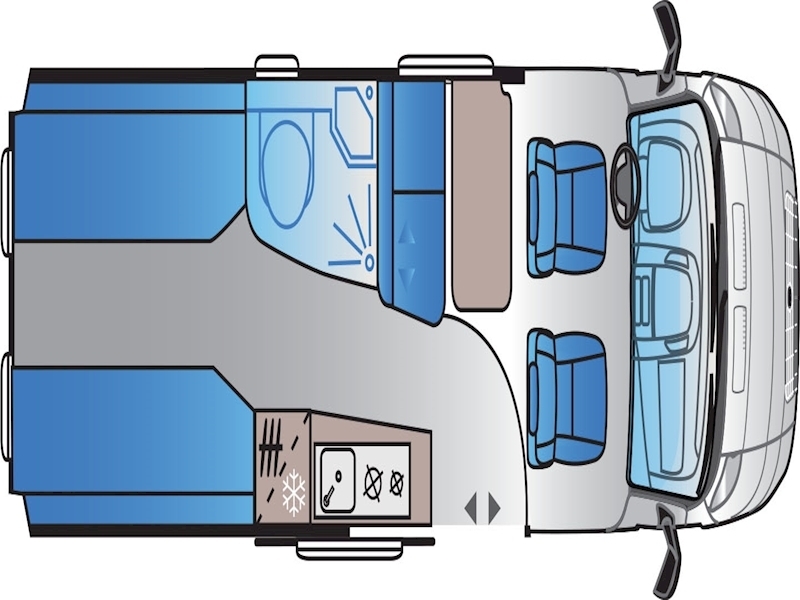 Factory extra's: "Drivers Pack 1" which include Cab Air-Conditioning, Cruise Control, Passenger Airbag. 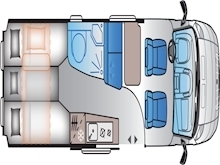 Also the Comfort Pack which has the upgraded Truma 4 Heating and Hot Water System to become a 4E Heating that works on Gas and Electric. 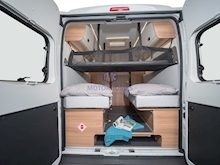 Factory extra's include a right rear window,Latoflex Bed,Hammock & Isofix. 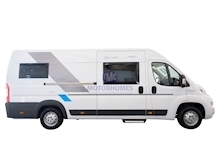 The Sun Living V65 SL is a great value van conversions with tonnes of flexible space for all your short or long trips away. 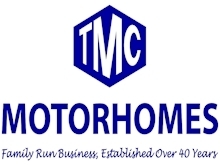 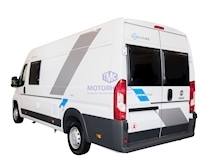 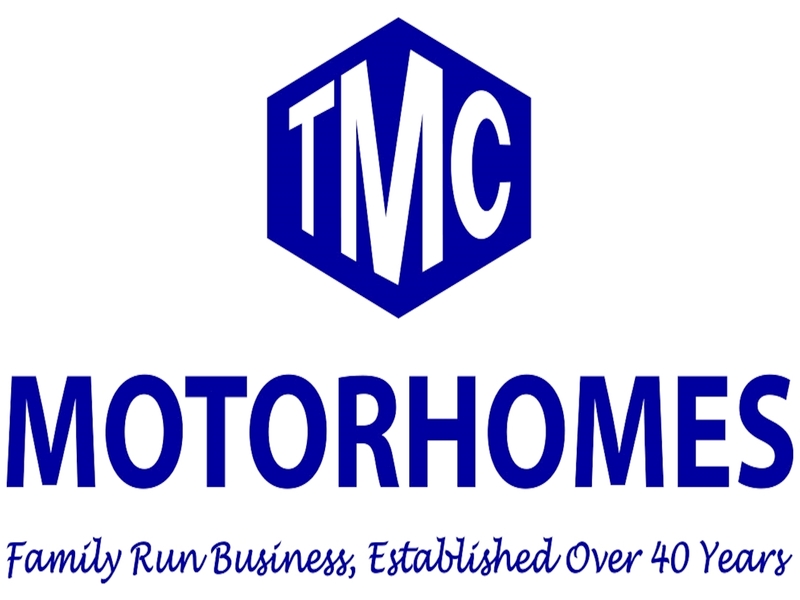 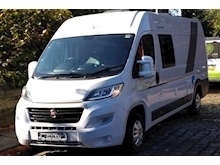 Made in the Adria Mobil Factory in Slovenia they offer a great value for money choice for you first motorhome or an alternative to a used motorhome. 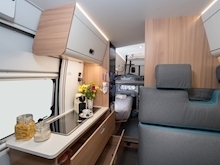 The Sun Living V65 SL is a great combination of style and practicality. 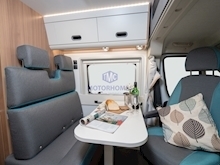 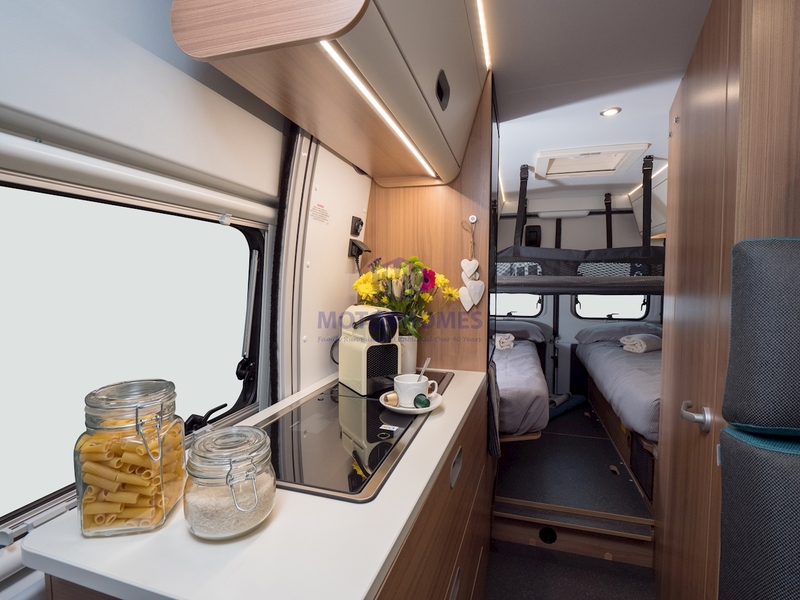 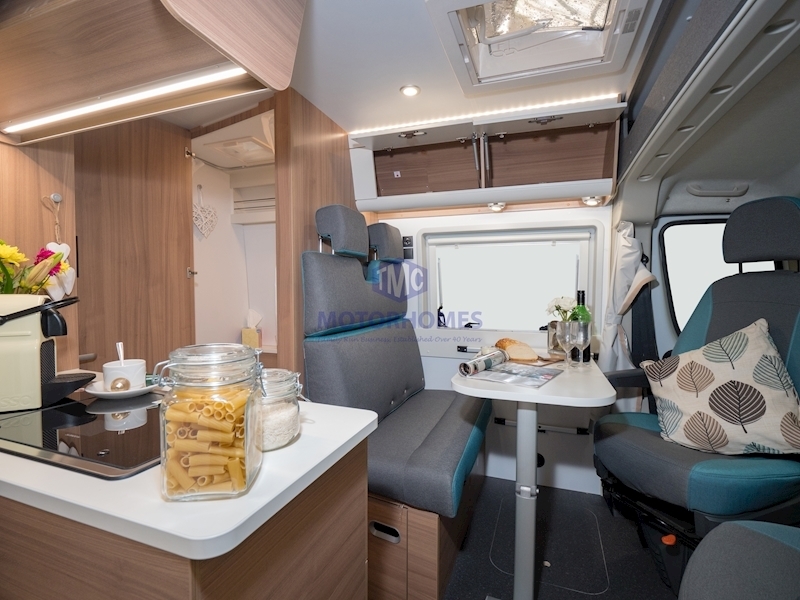 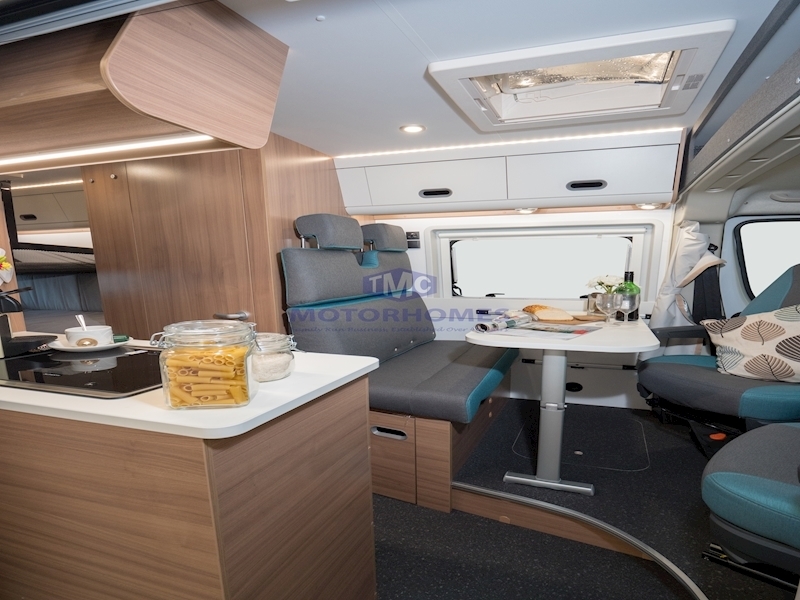 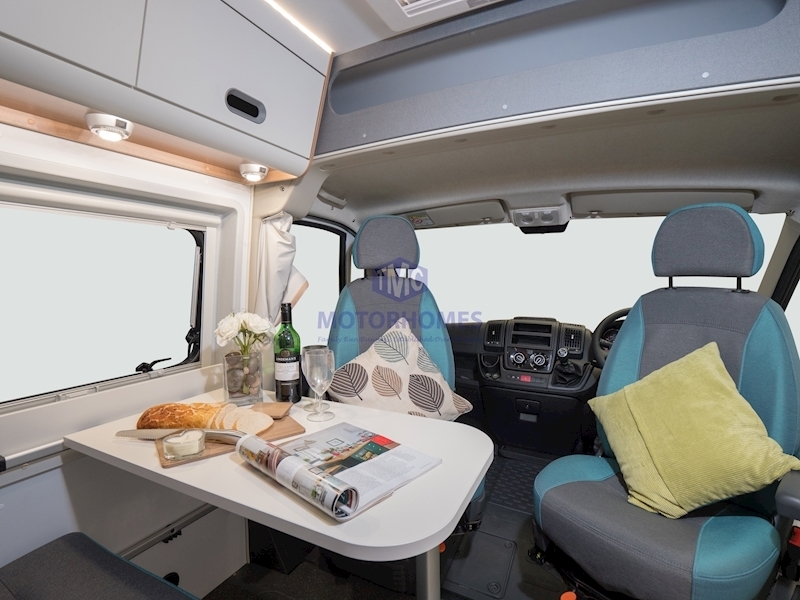 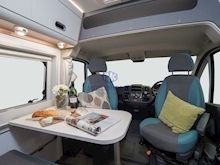 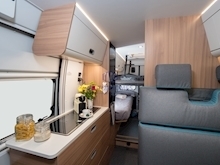 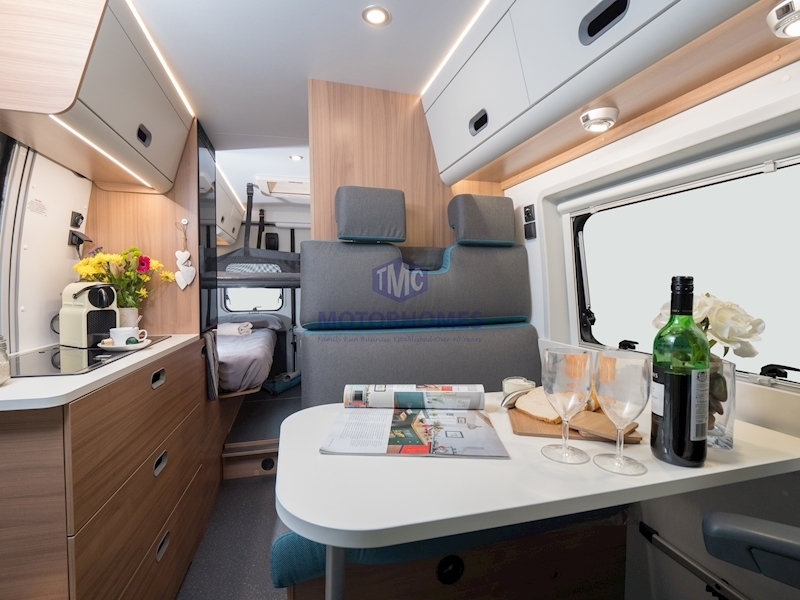 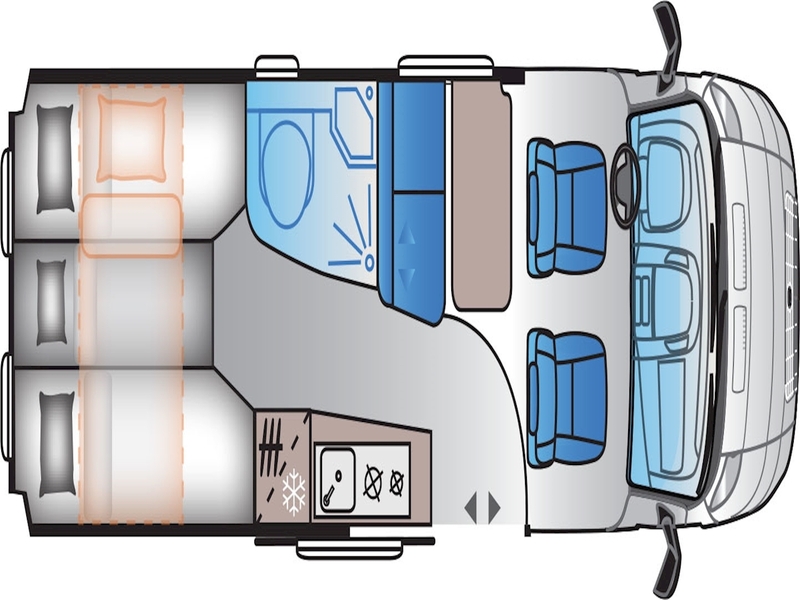 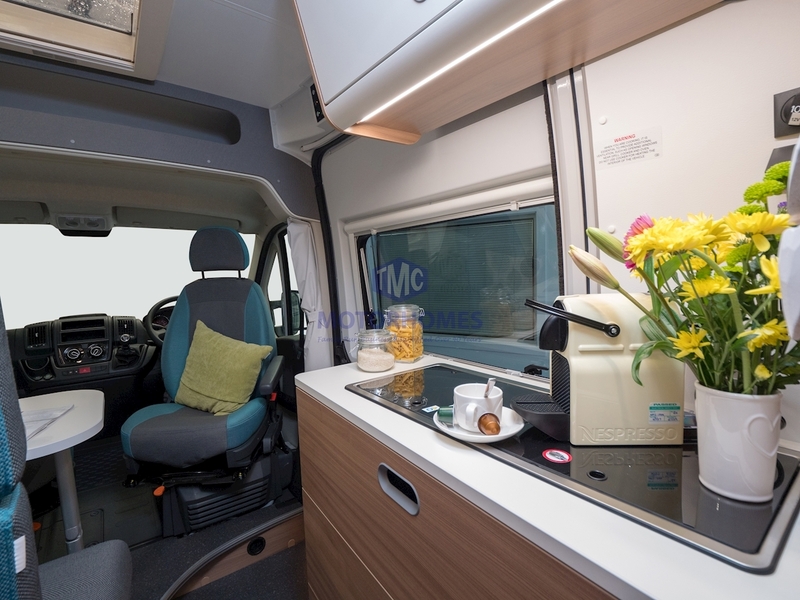 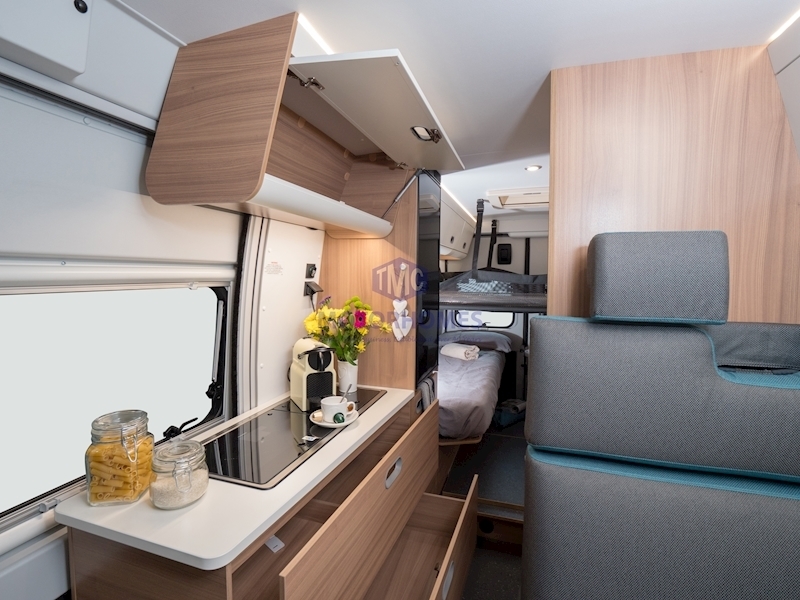 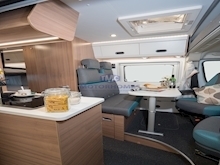 The stylish interior and practical layout offers a flexible living and sleeping space for the touring couple. 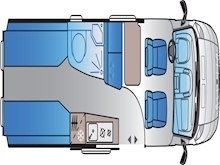 The comfortable lounge will easily seat 4 adults (as well as having 4 seatbelts). 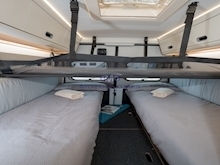 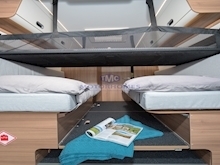 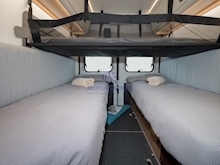 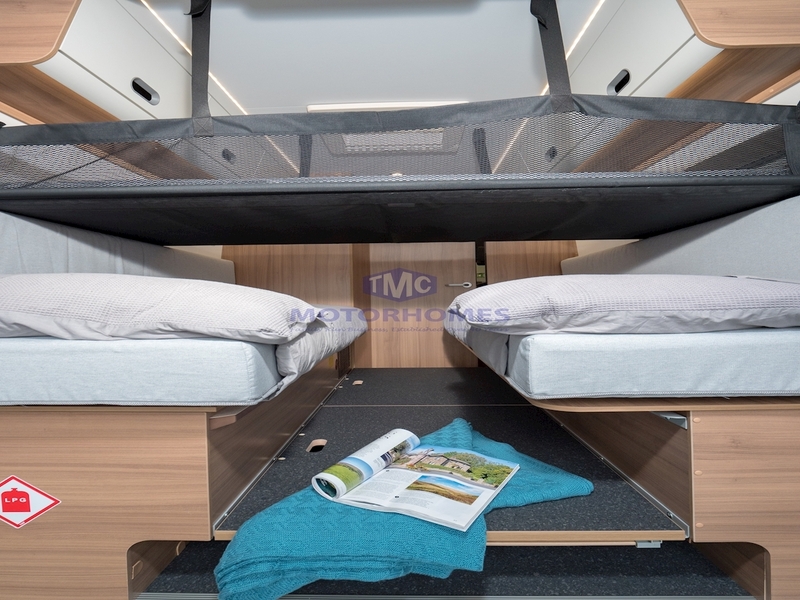 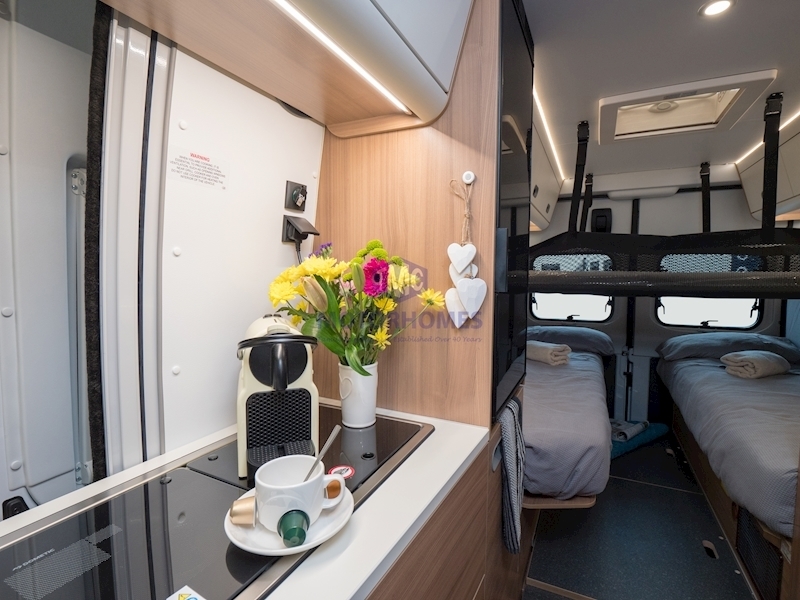 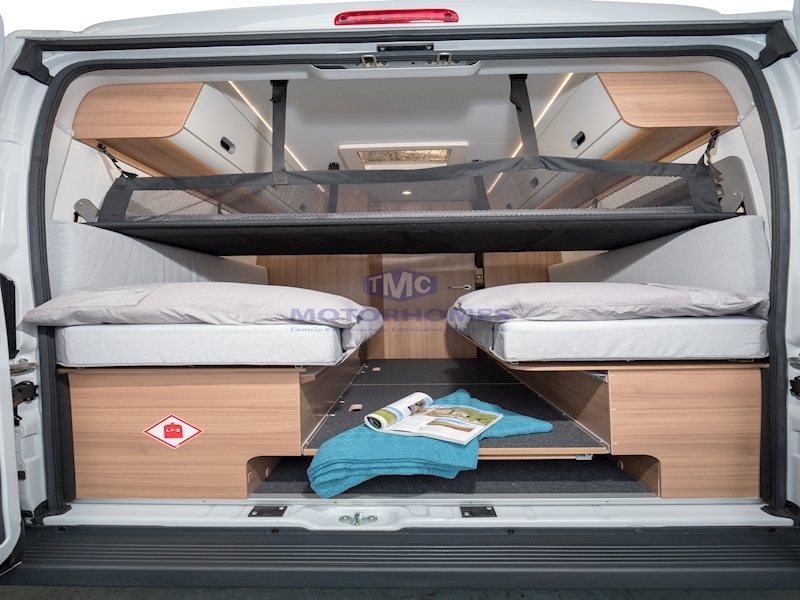 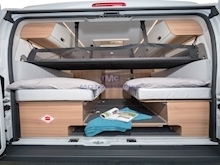 The twin single rear beds can also be converted into a large double bed if required but also bench seats for daytime lounging, you can also purchase the optional hammock bed for an extra bed. 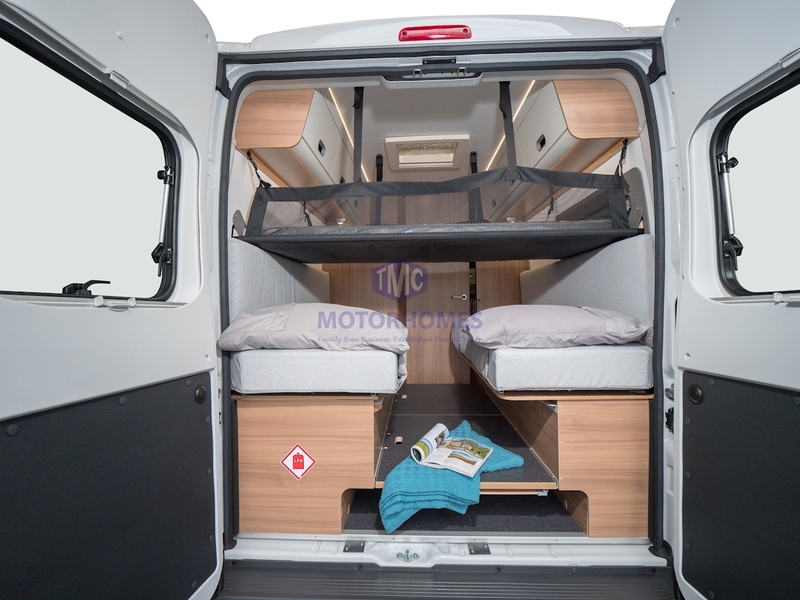 There is also huge amount of storage under the rear beds for your trips away. 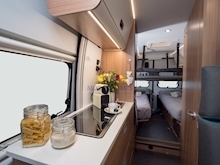 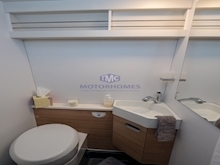 The bathroom includes a shower, basin and toilet whilst the kitchen is equipped with 2 burner hob, 90L compressor Fridge and plenty of cupboard storage. 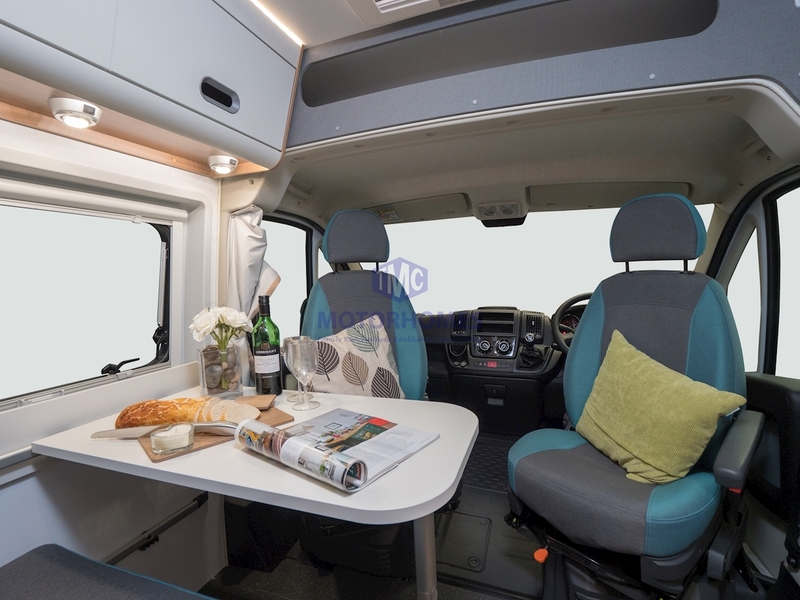 Sat Nav with Reverse Camera,Leisure Battery,Bike Rack,TV Bracket & Digital Aerial. 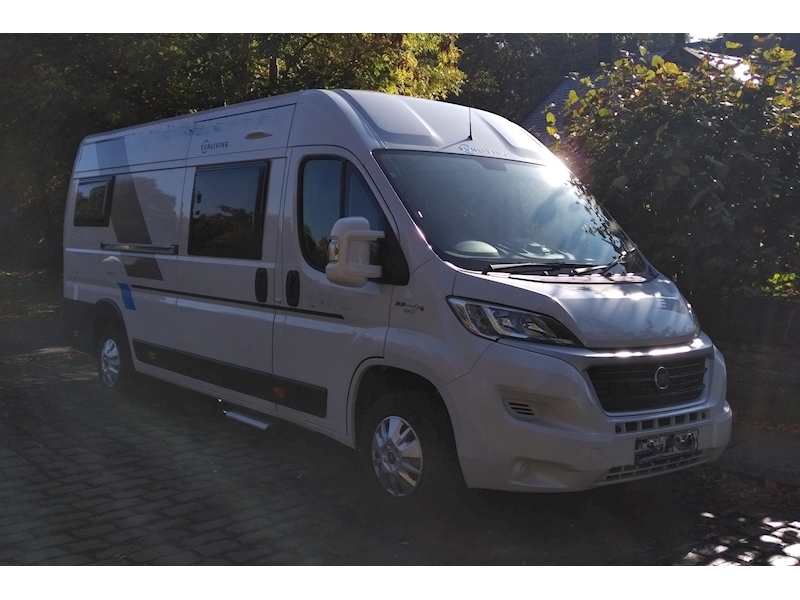 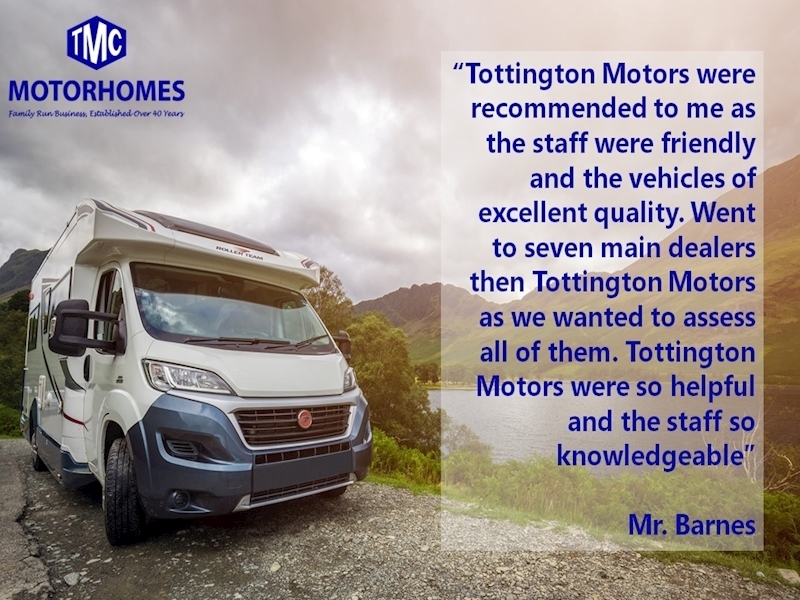 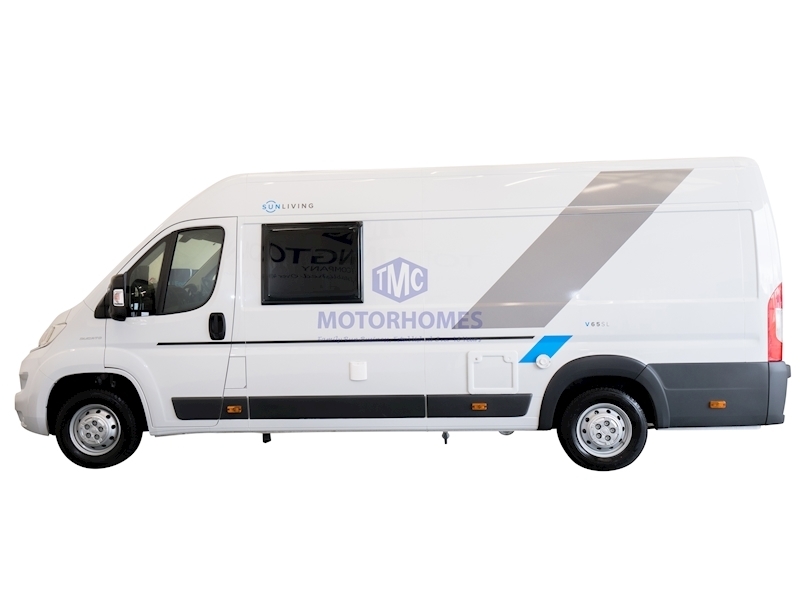 The Sun Living V60 SP is powered by the Euro 6 MultiJet2 Engine on the Fiat Ducato 2.3 litre (130 bhp) engine, manual gearbox and white painted body. 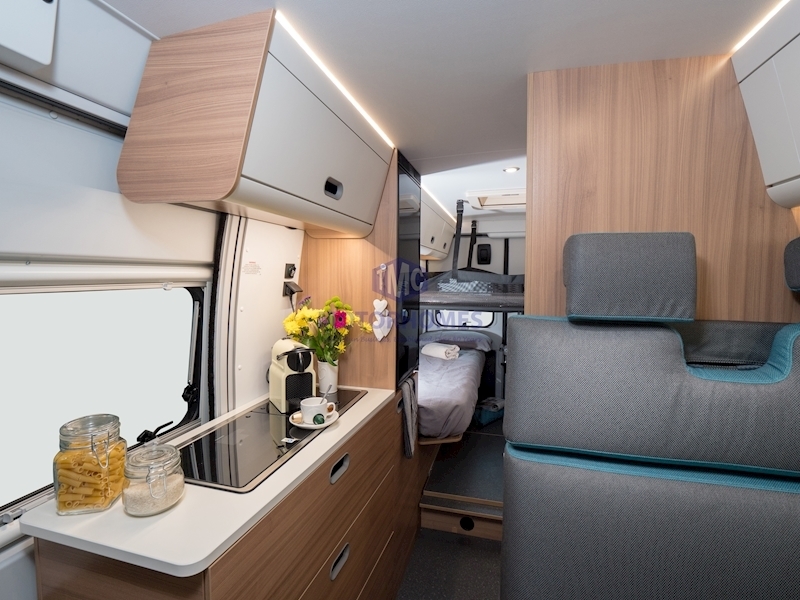 The Sun Living S60 SP comes with Light Wood furniture with High Gloss Cupboard finish and Mercurius Upholstery as standard.